X-5 is an agent with American Intelligence. Which agency he works for is never mentioned but in the first adventure he is clearly identified as a U.S. secret agent. In the subsequent escapades his employer is not really specified. That he is an established agent is revealed in the first adventure when an enemy agent, certain that the man he was observing was a spy, looked into his book of known agents and pulled X-5's picture. Who X-5 is outside of his codename is never mentioned. No one ever uses a first or last name and he seems very comfortable with that. What his life is like outside his work is also never even alluded to much less stated. The fact that he seems to be all over the place would make one believe he does not have much in the way of a personal life. We can infer from some of his adventures that he is a gifted disguise artist and he has to be an expert with foreign languages to be able to converse so easily and, while made up to look like an enemy general talking to his fellow countrymen, so convincingly. The fact that he makes decisions to go undercover so quickly and with little trepidation would point to his having done it many times before. Physically all we know about X-5 is that he is blond with wavy hair, prone to wearing suits, and in good condition based on his ability to dodge bullets (most of them) easily. He is darned good in a fist fight and really acts like he relishes a good tussle. He is also fairly glib for he has a sharp comment or retort always at the ready. He is definitely not above making a biting remark when it is called for. In the first two recorded adventures, he is called "X-5, Secret Agent". In the last two, he is "X-5, Super Agent". There is no indication what changed to make him move from secret to super. 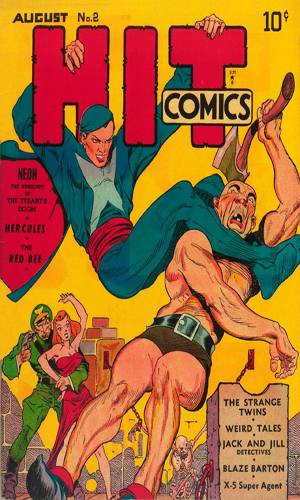 One of the most prolific, and influential, comic writers and artists of all time was the great Will Eisner. His output was legendary. So was his use of pseudonyms. Cory Weyt was one of them. 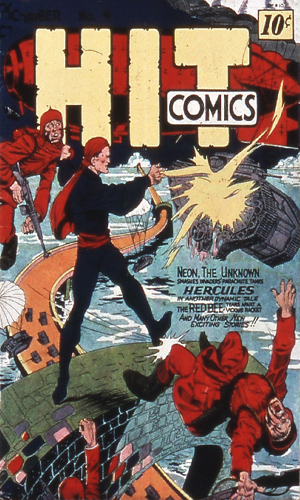 "Weyt" was not around long, though, as his sole creation, X-5 Secret/Super Agent, came and went in the span of four issues of Hit Comics in the summer and fall of 1940. Mourn not too hard, though, for the brief life of X-5. The very next issue of the comic line had a "new" hero, "G-5, Super Agent", drawn and written by another pseudonym, Cory Weyte. Note: The titles of the issues in quotes are my creation. 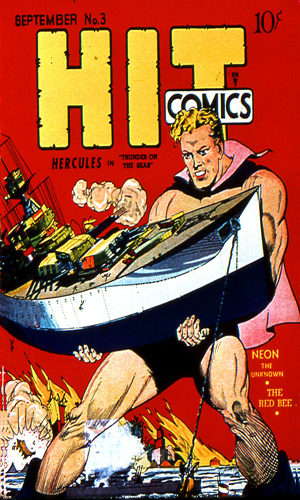 From Hit Comics #1 - Overhearing a female agent, Baroness Verber, talk about using the hostile warship "Wolf" to sink an American freighter in a foreign port, X-5 is determined to stop the attack. He is less than successful but manages to capture the "Wolf". From Hit Comics #2 - The European nation of Ruina wants to sell its oil to one neighbor but another neighboring nation, far more warlike, wants it and will kill anyone to do so. The King of Ruina appeals to X-5 for help. From Hit Comics #3 - The European nation of Bothnia wants guns and ammo stolen from an American National Guard armory. Their inside man gets cold feet and wants out. X-5 witnesses his kidnapping and gets intrigued. From Hit Comics #4 - X-5 is sent to Northland to sneak into Southland to find why that nation's capital is getting shipment of enough beef to feed a far larger city. Obviously something is up. There is not enough of X-5 to get to like or dislike. He came, fought a few times, beat up some enemy agents, got himself shot and blown up and pounded a time or two but then got all better quickly, and then went away. 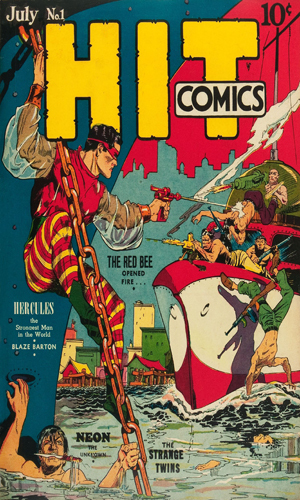 One impressive feature to his tales is that the writer/author, Will Eisner in the guise of Cory Weyt, filled a whole lot of story in the six pages that were given. Each page has numerous smaller panels on it and each of these panels keeps the story moving. There is no instance of meet and beat bad-guy, cased closed. There are actually story twists and turns inside those few pages. It shows just how good Eisner truly was as a storyteller.